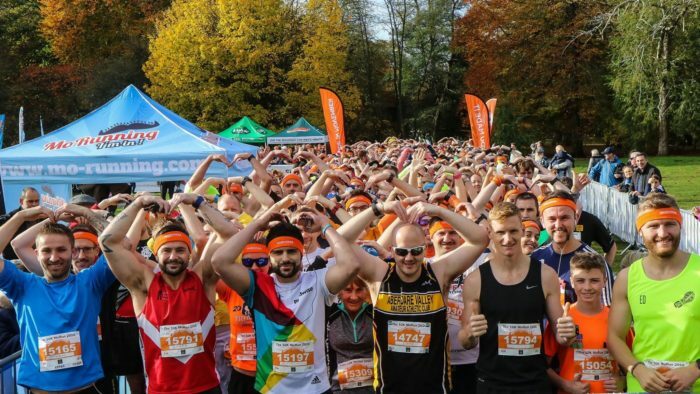 Home » News » Road Running » Move this Movember with MoRunning! Move this Movember with MoRunning! MoRunning have announced they will host MoRuns at 22 different locations across the UK and Ireland throughout the month of ‘Movember’, to help raise awareness of men’s health issues and to raise vital funds for the Movember Foundation. The MoRuns will take place between November 1st and November 30th in locations including; Dublin, Belfast, Edinburgh, Manchester, Bristol and London. For the first time MoRuns, will also take place in Aberdeen, Exeter, Southampton, Ipswich and Whitstable. MoRunning events are suited to runners of all abilities and of all ages, with a 5k option for the fun runners and a 10k option for those looking for a challenge. There is also a 1.5k Mini Mo run for children aged between 3 and 12 years. In addition, for the first-time this year, runners can also take part in a “virtual MoRun” with runners encouraged to upload a screenshot of their result onto the website, which means that MoRuns can take place anywhere in the world! There, they will be placed onto the virtual MoRunning leader board and they will receive a medal and headband. Now in its ninth year, 20,000 male and female runners are expected to take part in the MoRuns taking place up and down the country. Runners are encouraged to don moustaches and run in fancy dress to raise vital funds for men’s health through the Movember Foundation with special “Mo medals” issued for the best dressed MoRunners at each location. Runners can either run solo or enter as part of a team. Early bird prices start from £10 for the Mini Mo Run for children; £12 for the virtual MoRun; £16 for the 5k option and £19 for the 10k option. Early bird tickets are now available via www.mo-running.com.